That's the ace we know. "It was more about getting back into that playing mode, that competition, and what we need to do to win," catcher Yasmani Grandal said. "So the first game was more of a kick-start, and this game was, 'All right, we're here, let's get it done.'" Did he ever get it done. 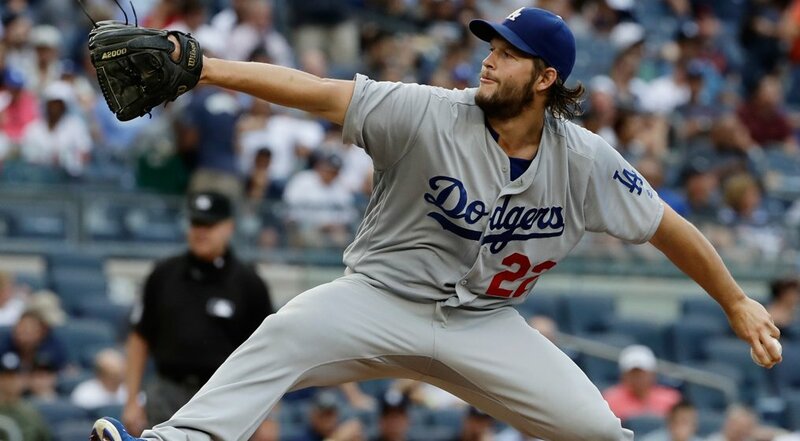 Yankees manager Joe Girardi wrapped it up succinctly: "Kershaw was Kershaw." "I gave up a hit so there's a bad pitch there," he said. "But for the most part ... it's tough to be satisfied when you only pitch five innings. I guess really six. But with the rain delay and everything considered, it was OK. It was good." Clayton was nearly perfect in his five innings pitched. He gave up just one hit, walked none and struck out five Yankee batters with just 64 pitches. Unfortunately, he didn't take home a win, but he did keep the Dodgers in contention long enough for them to pull out a 2-0 victory in the ninth inning. A series of Yankee errors contributed to the only runs of the game. You can listen to Kershaw speak about his evening with Alanna Rizzo here. This Day in Dodgers History: In 1978 the Dodgers became the first club in Major League history to draw three million fans at home. The Dodgers entertained 47,188 fans with their 5-0 victory over the Atlanta Braves.